I've several files composed of elements like the one below which I'm trying to make sense of (essentially a very simple microtopography study). 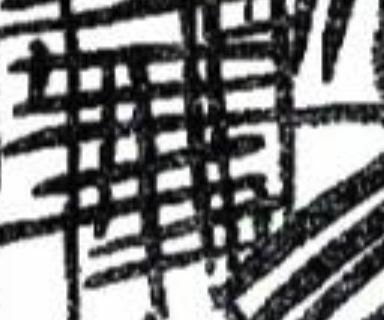 I've vectorised the image with lots of separate lines ending where they intersect with another line. Each of these vertices has been assigned a separate number corresponding to a line, and these lines are in turn arranged into units (so the photo below is of 1 unit composed of 8+ lines composed of multiple vertices). I'd like to analyse these to look for regularity in the number of lines comprising a unit, does anyone know of doing this? I would use the "Count unique features in polygon" only I'm only using lines. Ok I found 2 ways of doing this. The first is as described by Kowalski above (thanks!) using Statistics by Categories after joining the intersections and line layers. I also used the Group Stats plugin using my unit field under Rows; and the vertice id field under colomn, adding count. Both techniques gave the same result. Not the answer you're looking for? Browse other questions tagged line qgis-2 features vertices or ask your own question. Mapping variation within multiple categories using QGIS? Selecting features within bounding box using QGIS? Counting nodes/vertices in large polyline GeoJSON? Projecting 2D (poly)lines and polygons on point cloud or (tri)mesh (TIN)? 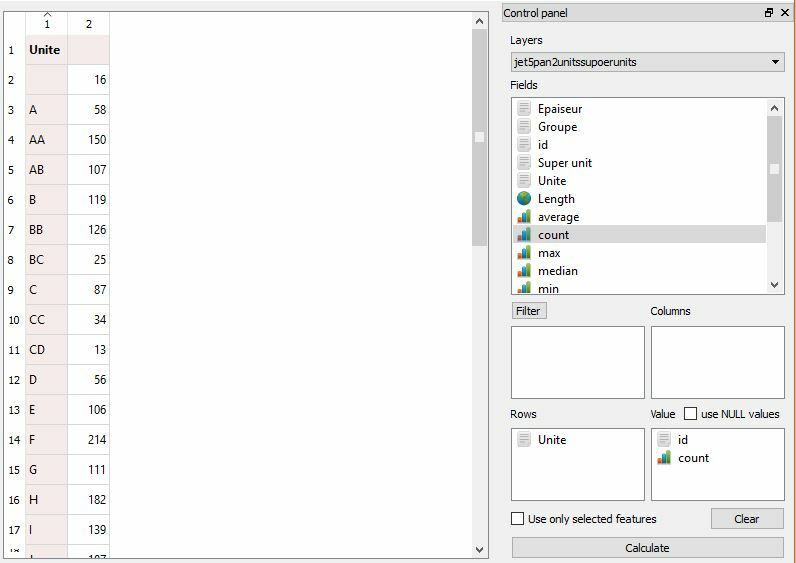 Selecting features on PostGIS table from QGIS?